Pan to fork. Fork to mouth. 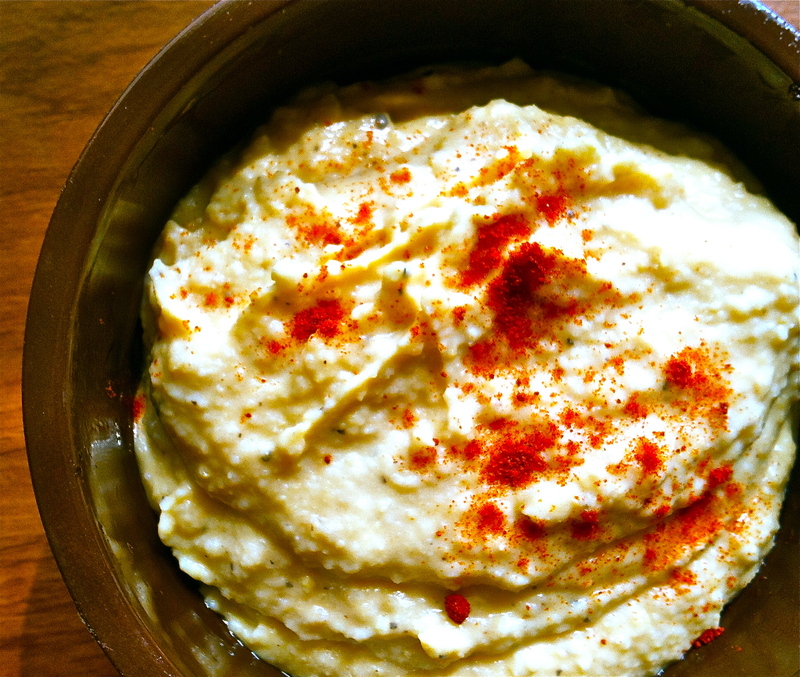 Hummus is one of my favorite foods and personally, I like more Chickpeas and less Tahini. When I make my own Hummus I actually use Chickpeas and Caramelized Onions with no Tahini. This dip is great for veggies, pita chips, or even as a sandwich spread and it is so easy to make. Start by caramelizing the Onion in 2 Tbsp. of Olive Oil. Once the Onion is caramelized, let it cool. Strain the Chickpeas and reserve half of the water from the can. In a food processor, blend the Chickpeas, reserved water, and Olive Oil. Add the Caramelized Onions, Crushed Red Pepper, Garlic Powder, Salt and Pepper, and blend until smooth. Garnish with Paprika and serve.